If you are looking to take the next step in your running training, have a chat with the expert running coaches at Muscle People Christchurch. If you’re an athlete or recreational runner the Muscle People Running Centre has all the programmes & facilities you need to take your running to the next level. If you’re a beginner, running training will get you started safely & enjoying your running right from your first step. Our running coaches work with runners of all ability levels to improve their running technique & elevate their performance. Our great range of services will help you train & recover like an elite athlete, no matter what your level of fitness. Before & after running transformation of an 8-year-old girl. Treadmill is at the same speed and inclines in both shots. Before & after running transformation of an adult male. Treadmill is at the same speed and inclines in both shots. The running training starts with a running assessment with a detailed video analysis of your running style, and from there make a plan to improve it. The coaching sessions then focus on correcting your technique area by area. We start with a running assessment with a detailed video analysis of your running style, and from there make a plan to improve it. The coaching sessions then focus on correcting your technique area by area. 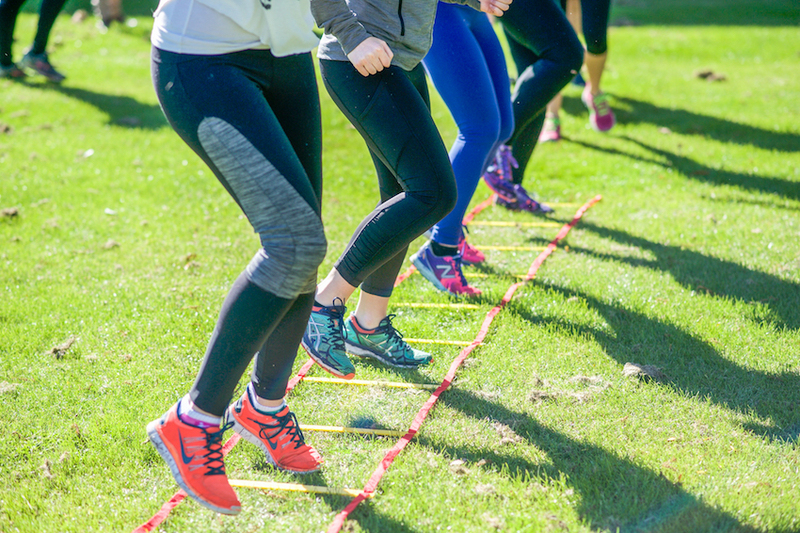 We recommend between 4-6 sessions depending on ability, and then many of our clients choose to join RunFit with their new running technique. Running coaching is suitable for anyone as the running and exercises are performed in intervals, so if you’re worried you’ll struggle, rest assured the session will be pitched at your level. Does your child struggle with school sport? Do they love running and want to improve? Running coaching for kids works the same way as it does for adults. It starts with a detailed video analysis, a plan and then sessions to work on correcting the technique. For kids, this can improve their confidence with sport, as well as their technique. If you do get injured, you want to have your injury treated by an expert who fully understands the demands of running. Our physios are experts at getting you back on the road as fast & safely as possible, & making sure you fully recover so you can continue running with minimal risk of future problems. 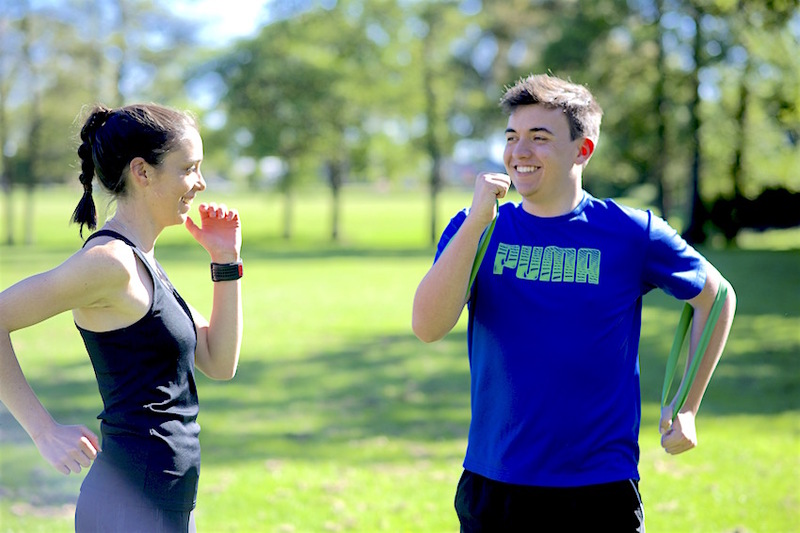 RunFit is a running programme with 8-week modules designed to progress on from the individual coaching sessions, though in some circumstances clients can choose to join the RunFit programme directly. It is suitable for the beginner to the regular runner. Whatever your ability, we’ll work with you and help you improve. The physiotherapist and personal trainer will accompany the group on runs to provide you with immediate feedback on your technique as well as added motivation. RunFit includes a one hour sessions each week, and three training session by yourself. You’ll receive an email each week from the physiotherapist with tips, and advice on your runs. Each session is a combination of a core strength exercise programme, running drills and the option of a 2-3km or 5km running route that changes between sessions. Some weekly sessions will also include interval/speed training which demonstrates your improvement. We offer more services than you'd think. No matter if you're a child, adult, senior, sports person or rehab patient - we can help you enjoy a healthier life.